I am 83-year old a retired Government servant at the fag end of my life living in Gurugram. I am trying to help a poor rickshaw-puller who is just 45-yr old and cannot earn his livelihood anymore because of his severe cases heart disease. 2. Copies of Rahman's medical reports are attached herewith for your kind perusal. Doctors at Government hospitals send him back saying either they have no arrangement or their equipments have yet to be supplied and/or there is nobody in the hospital to operate these machines. There is no choice left but to get the requisite treatment from a private hospital. These hospitals quote their charges to the tune of 7,00,000 or more which either he or his wife cannot afford to pay for RAHAMAN'S treatment which involves replacement/repair of his heart valves. 3. Rahman's family consists of his wife and one 10-yr old son. 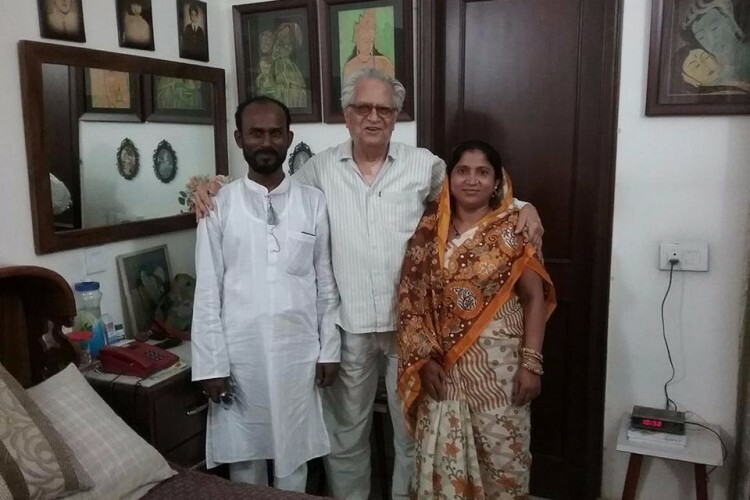 To make both ends meet his wife works part-time in 2-3 houses as a maid for cleaning utensils and sometimes sweeps the houses. With her paltry earnings she pays rental of a shabby dwelling in Gurugram, hardly leaving enough money for their food and education of their son. 4. Hence just to help him, I approach a few people with charitable mind-set to save this poor young rickshaw-puller's life, if we can. Thanks to all who can come forward for this noble cause. God bless one and all. Your share could be as good as a donation for JAMEEL RAMAN! Not everyone can afford to take care of their loved ones. JAMEEL RAMAN's life can only be saved by donations made by kind people like you.